Paul from Vondis Holistic Pet Nutrition discusses home-cooked meals on Smile 90.4 Radio! For thousands of years, we have been feeding our pets left-overs and not only did they cope, but they thrived. With the recent invent of commercial pet food in the form of pellets and canned food, we lost the skill and enthusiasm in producing home-made pet food. Now, with most consumers being enlightened as to how to prepare healthy food for themselves, this same concept can apply to our furry friends. In fact, anyone following a trendy diet like Banting, Paleo, etc can apply the same health principles and feed same. 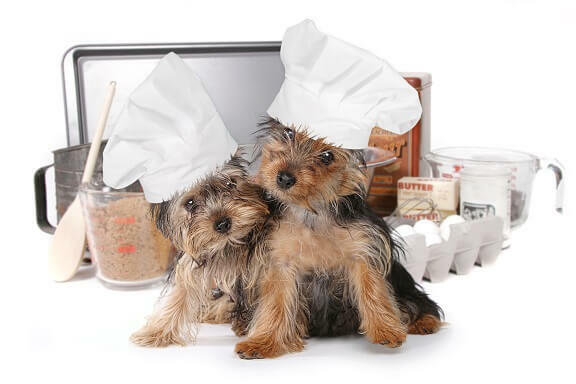 There are only two considerations in formulating a natural and nutritious home cooked meal for your companion animals. The first is the ingredients that you use and the second is the method used to cook these ingredients. Your recipe should include up to third meat, a third whole grains and a third vegetable and greens. The meat can be beef, chicken (pref free range), mutton and/or ostrich. The grains should include brown rice, lentils, barley, pea, quinoa, wheat germ, millet, etc. Your vegetable mix should include blended raw veggies and fresh herbs and cold pressed olive oil. What is important to note when cooking, is that the grains must be cooked thoroughly. This will make them easily digestible and maintain all there nutritional values. Your meat must be seared until 72 degrees. Safety first and therefore by boiling or steaming your meat you kill all dangerous pathogens. Your veggies must be raw and blended. Besides being nutritious, it is extremely fulfilling and gratifying to prepare your own pet food and feed it to your companion animal.